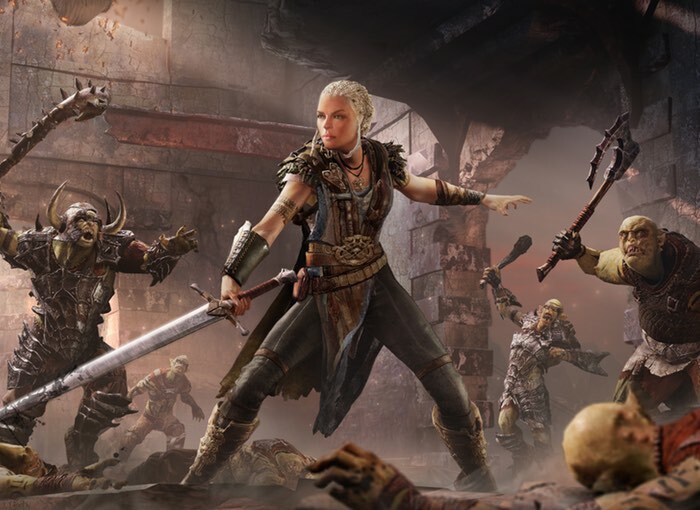 Gamers that enjoyed the original Shadow of Mordor game might be interested to know that the sequel Shadow of Mordor 2 has been leaked via a stuntwoman’s curriculum vitae (CV), after being spotted by NerdLeaks. The CV of the stuntwoman revealed that she had been employed by Blur Studio a CGI development studio which has been responsible for developing a number of recent games such as Batman: Arkham Knight, Dark Souls 2, Assassin’s Creed: Unity, BioShock Infinite, and the Mafia 3 trailer. It seems from a little investigation that the stuntwoman might have been involved with the creation of CGI trailers for the games and may well have worked on a new trailer that is being created for the new Shadow of Mordor 2 day and could possibly be unveiled during E3 which takes place later this year. Rumours are circulating that the Shadow of Mordor 2 sequel may star Lithariel, a playable female character who was added to the first game after the release of a free DLC. As more information becomes available on the new Shadow of Mordor 2 game we will keep you updated as always.